Welcome to Writing Our Future: American Creed. Here you will find advice for writing your response as well as guidelines for publishing. You can also download a PDF version of these guidelines. Note that publishing accounts are provided to writers (13+) through teachers, librarians, or other educators who create group accounts for their students or youth participants. 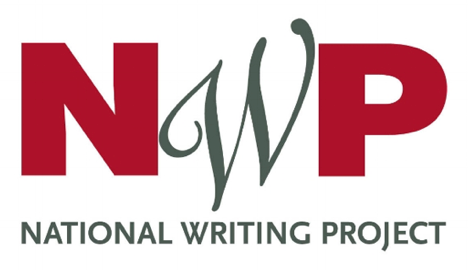 If you are a youth who wishes to participate but has come here unaffiliated to an 18+ educator or participating site/organization, email us at writingourfuture@nwp.org. Writing Our Future: American Creed was created to provide youth, like you, across the country with an opportunity to respond to the film American Creed—to add your voice and your story to those portrayed in the film. Start by viewing the film. Even if you have seen the film in a group screening and discussion, you can review the film to think more about it or to share it with others. Next, check out the five writing invitations tied to the main themes and key points expressed by individuals in the film. These five prompts, along with activities organized by your teacher or group facilitator, are intended to spark your thinking and help you find a topic or project that you want to pursue. We also encourage you to read the responses of other youth from around the country; use these to spark ideas as well as to explore diverse perspectives. You may begin to draft your response using any tools you would like (Google Docs, iMovie, etc.). However, when you are ready to work within the American Creed youth publishing site, you must first Sign Up and then Log In with a code provided by a registered 18+ teacher/librarian/educator. When you are ready to work on your response, you must first Sign Up with the code you receive from your registered teacher/librarian. Once you Sign Up you can then come back and Log In when needed. Your response will be created upon logging in. Click on Edit Response to start to work on it. You can Save/Leave as Draft as you go. If you have more than one response, click the Add Your Response button in the right-hand navigation to start a second one. Writers are welcome to compose their responses using text, images, sound, and video. The site also supports embedded video and most things in an iframe, and you can upload a range of multimedia within each post. Each post begins with a Title and a Summary (280 character maximum). The summary will show up on the map and homepage along with any images you include. Upon publishing, Tags are required. Tags that are already in the system will display as you type and can choose from those, or create your own. Your Display Name is also required and your first name and last initial will be the default. Response fields you add can be reordered by dragging/dropping so that your response can appear in the order you decide. Whether you are working on a piece of writing and/or composing with multimedia, it helps to work through a process of feedback, revision, and editing. Writing Our Future: American Creed allows you to save a draft before submitting your piece for publishing. You can even remove a published response, re-edit and then re-publish a piece if you want to make changes after publishing. As you draft, ask for feedback on your work-in-progress from a diverse range of people. Feedback from others is key, as your published post will be read by a diverse national and even international audience. Citing sources and providing links to research will help your readers learn more about the issues that you are writing about and build credibility for your arguments. Attributing the sources of any graphics, music, or other digital assets that you use honors the creative work of others while helping your readers learn about your sources. Once your piece is finished, you will follow 4 steps to publish it. If so, select Tags for your response. (Here are suggestions for tagging.) Next, enter your public Display Name. Your response will be submitted to your registered teacher/educator who will do a final review and then post your responses to the public map and website.